Restaurant branding for a celebrity chef delivering the best of fine dining in a modern designed environment. Restaurant branding for a celebrity chef delivering the best of fine dining in a modern environment. The founder of Pizza Vinoteca, a former Top Chef contestant, had a vision to create a fast-casual restaurant and take-out destination that would redefine casual dining in New York City. The goal was to create a highly-designed dining experience where the best of fine dining (high quality ingredients, 4-star preparations, and top notch service) was available at a great price in a technology-enhanced environment. To take a comprehensive approach to the restaurant branding, our work dovetailed closely with that of project architect James Biber. 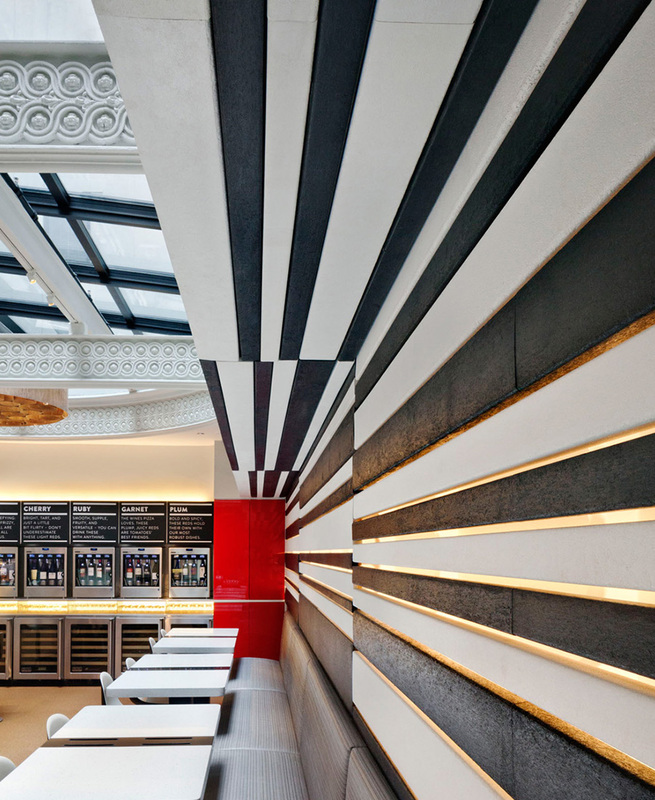 The black and white stripes of the brand logo and restaurant interior are reminiscent of both bar codes (technology) and the wonderful black and white striped churches found throughout Italy (history). 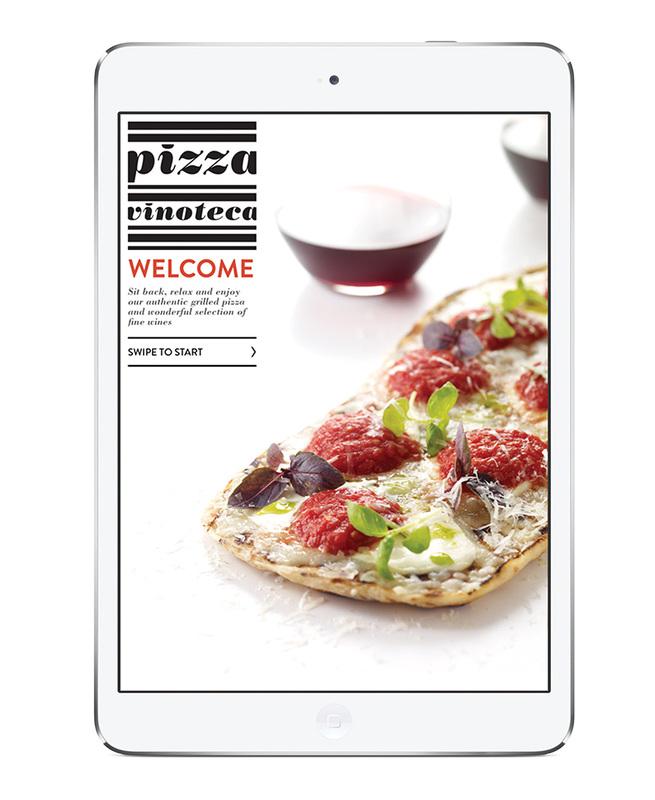 They provide a bold, unifying element for the brand but also speak to the multiple dualities of the Pizza Vinoteca experience: old/new, familiar/unexpected, classic/modern, fine dining/accessibility. Echoing the mission of the restaurant, the take away packaging was designed to add to the feeling for the guest that despite the economical price of their meal, they are carrying something very special — a piece of jewelry or a gift for a special friend. We used economical materials and fabrication but applied the brand stripes and bold logotype in a clean, modern way to create a cohesive, memorable brand statement. The most challenging aspect of the project (but also the most gratifying) was the design of the custom iPad ordering experience. Memo oversaw an extensive team of UX developers, programmers, writers, and photographers to ensure complete fidelity to the brand identity and mantra of providing the best aspects of fine dining in an accessible experience.